My shift (A shift) begins tomorrow and we can call that day 1. I will work days 1, 3, & 5...followed by 4 days off and the rotation resets. It’s a 9 day rotation with 3 shifts (A, B, & C). My question is whether it would be possible to reference Google Calendar and have the corresponding shifts in there or if I need to find someone much smarter than me to develop a formula to show the correct shift/color? Any advice would be tremendous. Thanks in advance for any tidbits! Also, let me know if I’m being unclear and I will clarify with a graphical representation of my calendar. 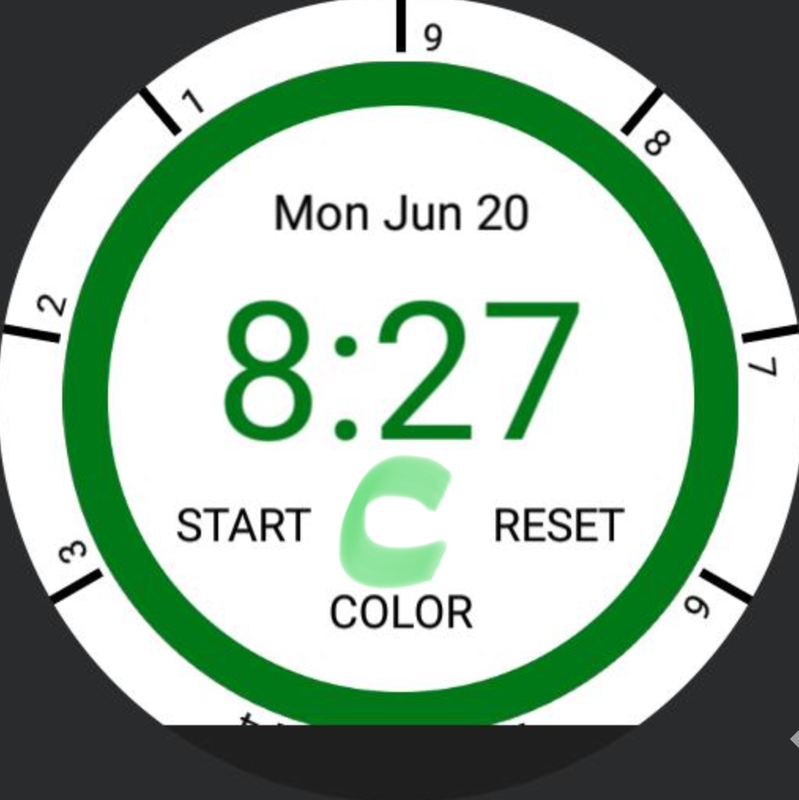 Since it’s a simple 9 day rotation, building a formula that changes a color and letter on the watch face every 24 hours at 7:00AM (the start time for our shift). Not that exactly, but it somewhat gives a graphical represetation of what a “C Shift” day would look like. Unfortunately, Facer doesn't have access to google calendar. The closest thing might be the newest collection of changeable complications, but I'm not sure if one of them is a google calendar thing (it needs an Android Wear 2.0 watch and I don't have one). Looks like you need to use Day in Year (#DD#) modulo 9. Facer doesn't support modulo (%), but you can hack it with the floor function. To change week start (back 1).